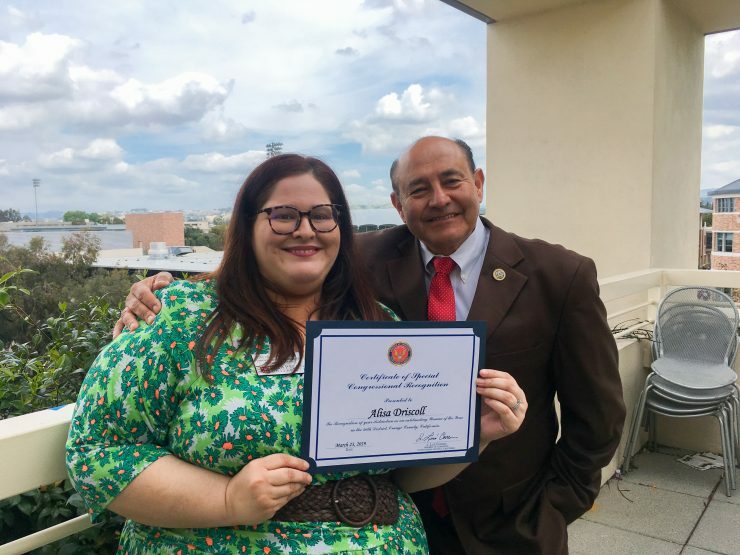 Chapman University’s Alisa Driscoll, a familiar face and friendly liaison between the University and the local neighborhood, was among the Chapman women honored by Congressman Lou Correa at his 2019 Women of the Year ceremony March 23 in the George Bush Conference Center. An overflow crowd applauded more than 100 remarkable women Correa recognized for their contributions to the 46th Congressional District communities he serves in Orange, Anaheim, Garden Grove and Santa Ana. Alumna Antoinette Balta ’03 (JD ’06, LL.M. ’11), president and co-founder of the Veterans Legal Institute. 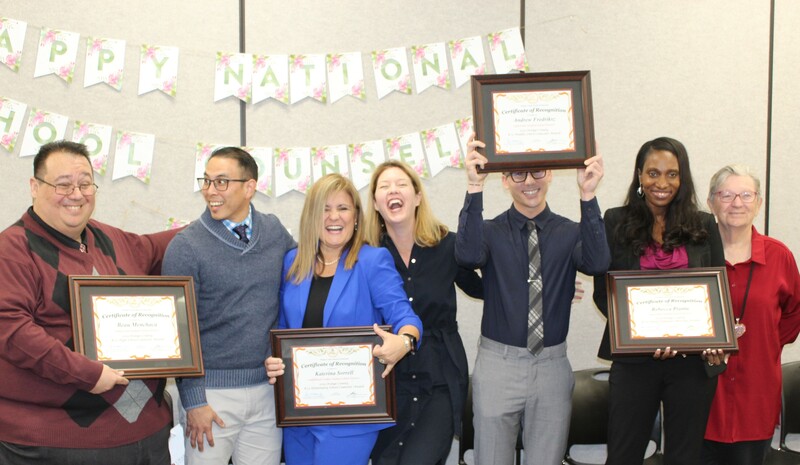 The Santa Ana nonprofit provides free legal assistance to homeless, disabled and low-income veterans and current service members. Employee and alumna Laura Gorospe ’05, business manager of the Chapman University School of Pharmacy. Gorospe began her career as a student worker in the University’s business office and earned her MBA from Brandman University in 2015. Alumna and adjunct professor Monica Shukla-Belmontes ’06, ’07 (Ph.D. ’15), a lecturer in the Schmid College of Science and Technology. She also is an associate dean for the School of Business and Professional Studies at Brandman University. Graduate student Beatriz “Betty” Valencia (Ph.D. ’20) who is pursuing a doctorate in leadership studies in the Attallah College of Educational Studies and is a candidate for the Orange City Council in the upcoming November special election. Valencia also is a vice chair of the Democratic Party of Orange County. Driscoll (M.A. ’19) has helped lead the University’s Office of Community Relations as communications and operations manager since 2016 and will earn a master’s in leadership development from Attallah College in May. She is co-chair of Chapman’s Advisory Group on the Status of Women, a committee whose efforts toward diversity and inclusion include planning International Women’s Day events on campus. She also was selected 2018 Volunteer of the Year by Friendly Center, a local family resource nonprofit. Display image at top/Alisa Driscoll (M.A. ’19) is greeted by Congressman Lou Correa after being honored at his 2019 Women of the Year awards.